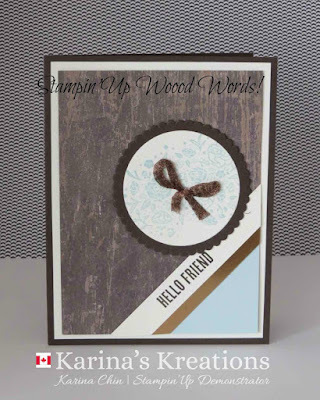 Karina's Kreations: Wood Words Sneak Peak! 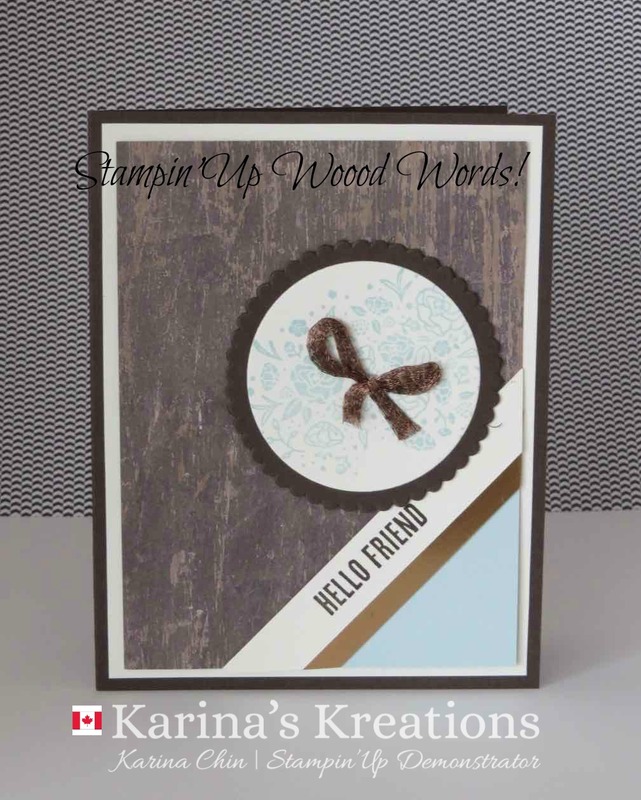 Stampin'Up has a new Wood Textures Product suite coming out June 1. I used the Wood Words stamp set, Wood Texture Designer Series Paper and 1/4" Copper Trim Ribbon to make this card. If you want a new catty come to my new Catalog Kickoff Party / Buy One Get One Free Sale Friday June 2. I'm running it from 9:00-9:00. I have tons of items for sale ranging from stamp sets, designer series paper, embellishments, ribbon, and cards. I also have a make and takes station, a lragest order of the day basket filled with $80.00 in new product and a bring a friend door prize. I'll have dun display boards set up with samples from the new catalog.